Pediatrics in India at the levels of both undergraduate and postgraduate training is often viewed upon as an acute disease specialty with little emphasis on chronic medical musculoskeletal diseases. Pediatric rheumatology is an under-recognized subspecialty of pediatrics which deals specifically with childhood arthritis, noninflammatory joint pains, connective tissue diseases, autoimmune diseases, vasculitis, and other rare inflammatory disorders. 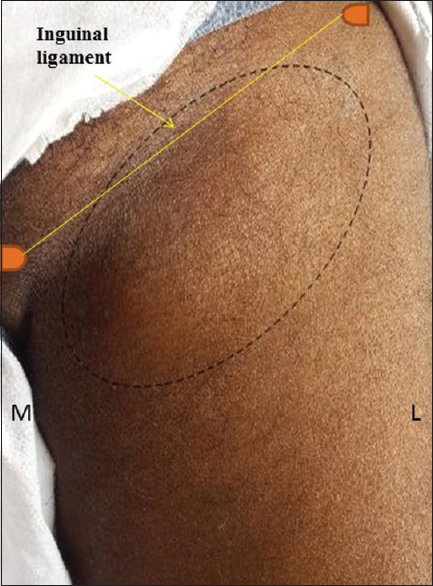 This article aims to give a bird's eye view of the repertoire of commonly encountered problems seen by a pediatric rheumatologist, via a classical case vignette for each topic followed by discussion. There is also mention of some rare diseases managed within pediatric rheumatology to give a flavor of the spectrum of diseases encountered. This is to raise awareness of the importance of pediatric rheumatology as a subspecialty within India and to prompt readers to seek specialist advice when encountering challenging cases. Pediatric rheumatologists network and work collaboratively with many other specialties such as ophthalmology, dermatology, neurology, orthopedics, nephrology, infectious diseases, immunology, and gastroenterology for combined care of diverse conditions. There is an unmet need in India to develop a training program for pediatric rheumatology so that shared care pathways with sensitized pediatricians and other specialists can be developed nationwide, to serve these children better to achieve optimal outcomes. 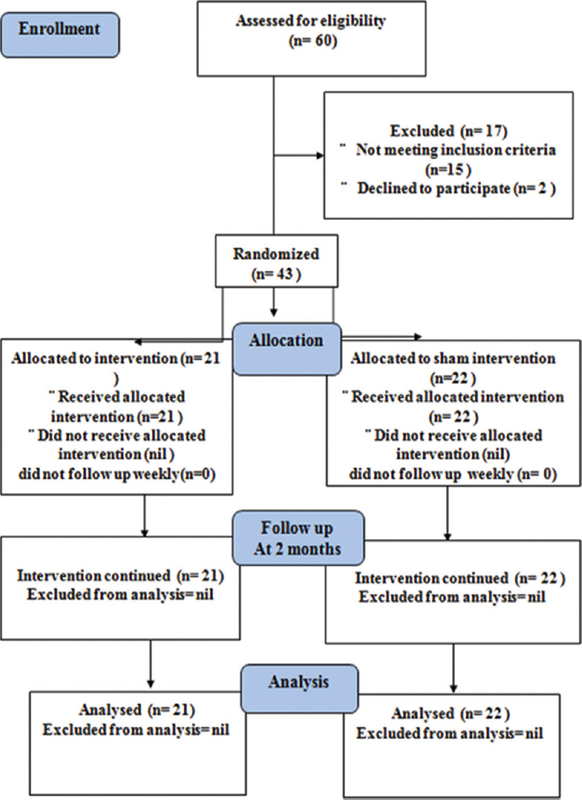 Objective: The objective of this study was to assess the effectiveness of memory stimulation intervention added to donepezil treatment as compared to donepezil alone in patients with early Alzheimer's disease (eAD). Materials and Methods: Patients in the combined treatment group (CTG = 21) received standard dosages of donepezil and weekly memory stimulation activities sessions for 2 months, whereas the treatment as usual group (TAU = 22) received only standard dosages of donepezil. Each session had extensive tasks on memory and its implied practice on instrumental activities of daily living. After 8 sessions, both groups were evaluated for changes in memory and functional outcomes by administering the mini-mental state examination (MMSE), memory (Postgraduate Institute of Memory Scale), and instrumental activities of daily living scale (IADLS). 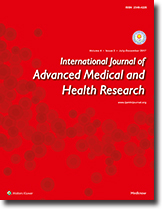 This trial was registered on the Clinical Trials Registry - India (CTRI/2014/04/004550). Results: Statistical analysis was done using independent t-test, which revealed a significant difference between the groups on MMSE, memory, and IADLS post intervention. The MMSE score in the TAU group, while it increased in the CTG group by 4 points. A similar trend was evident in the memory and IADLS scores as well. Effect size in the CTG group was relatively large as compared to the TAU group where the effects were small and negative on some outcomes. Conclusion: The CTG group showed positive treatment effect on cognitive tests suggesting that combined memory stimulation and donepezil treatment has potential to improve the cognitive and functional performance of patients with eAD. Background: Thymidylate synthase (TS) plays a critical role in nucleotide metabolism and is an important target for 5-fluorouracil (5-FU), the standard chemotherapeutic drug for treatment of colorectal cancer (CRC). Aims and Methods: The present study aimed to evaluate TS variable number tandem repeat sequences (VNTR) polymorphism by polymerase chain reaction and TS protein expression by immunohistochemistry and its association with clinicopathological parameters in untreated CRC patients (n = 100). Further, the prognostic and predictive role of TS has been evaluated. Results: For TS VNTR polymorphism, the observed frequencies of 2R/2R, 2R/3R, and 3R/3R genotypes were 22%, 51%, and 27%, respectively. When immunohistochemical localization was studied, cytoplasmic staining for TS was observed in 70% of patients. A significant inverse correlation was noted between TS protein expression and tumor, node, metastasis staging (P = 0.027), Dukes' staging (P = 0.039), and lymph node status (P = 0.012) of CRC patients. 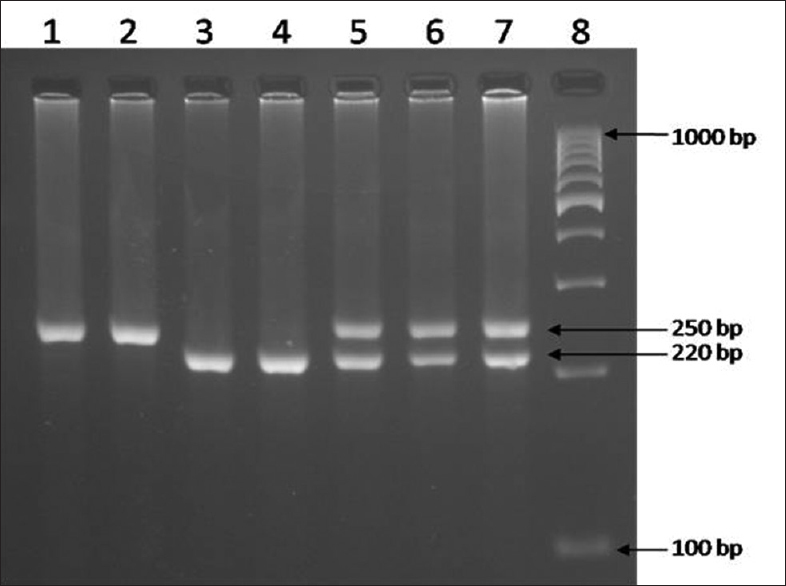 However, there was no significant correlation between TS VNTR polymorphism and TS protein expression. On survival analysis, a significantly shorter overall survival (OS) was seen in CRC patients with negative protein expression (P = 0.031). Moreover, the subgroup of CRC patients treated only with surgery also showed a trend of poor OS in patients with negative TS protein expression (P = 0.058). However, neither TS polymorphism nor its protein expression was able to predict relapse-free survival. Conclusion: Negative TS protein expression may be related to unfavorable clinical outcome in CRC patients. However, further studies in a larger set of patients are necessary to better assess TS as a prognostic and predictive marker for 5-FU response in CRC patients. Context: Intrauterine contraceptive device (IUCD) has been recommended for insertion within 10 min of placental delivery or within 48 h of delivery (postpartum IUCD [PPIUCD]) by the WHO. However, the acceptance across our country has been low. Aims: To determine the level of knowledge and the factors affecting it and the likely adoption of PPIUCD. Settings and Design: This cross-sectional study was carried out in the antenatal clinic and postnatal ward of a large tertiary care center in South India. Subjects and Methods: A total of 339 women were studied with the help of a validated structured pro forma. Proportions were expressed in percentage. Chi-square test was applied to compare proportions and univariate analysis for the factors affecting knowledge and likely acceptance. Results: Among the 339 women, 152 (44.8%) were aware of the method. Of the 152 women, 56 had a negative attitude about the method. Multiparity of the women was a significant factor affecting knowledge (χ2 = 8.068, P = 0.045). Women who were not exposed to formal health counseling were significantly associated with a lack of knowledge (χ2 = 23.332, P = 0.0001). Primiparity (χ2 = 14.683, P = 0.0001), husbands with skilled jobs (χ2 = 8.272, P = 0.0407), having shared information with their husband regarding the method (χ2 = 38.1, P < 0.001), and family support (χ2 = 58.25, P < 0.001) were the major factors associated with willingness to adopt the method. Conclusion: The level of knowledge about PPIUCD of our study population is 44.8%. Exposure to formal health counseling classes and prior discussion with husbands and family members could improve the knowledge and likelihood of acceptance of PPIUCD. Objective: Inclined surfaces or ramps are the common obstacles faced by elderly and cardiopulmonary disabled in accessing public amenities. Ramp walking is one of the most common functional demands to be met by a common man in the industrialized world. To assess the functional (uphill walking) capacity, we need a different functional stress test over the routinely used 6-min walk test (6MWT). Hence, a new 3-min steep ramp walk test (3MRWT) was constructed to meet the demands similar to an uphill walk and to provide more functional stress than routinely used 6MWT. Methodology: The observational, crossover study design was adopted for this study. Fifteen healthy participants (8 males, 7 females) performed both tests in a randomized order with a washout time of 6 h in between the tests. 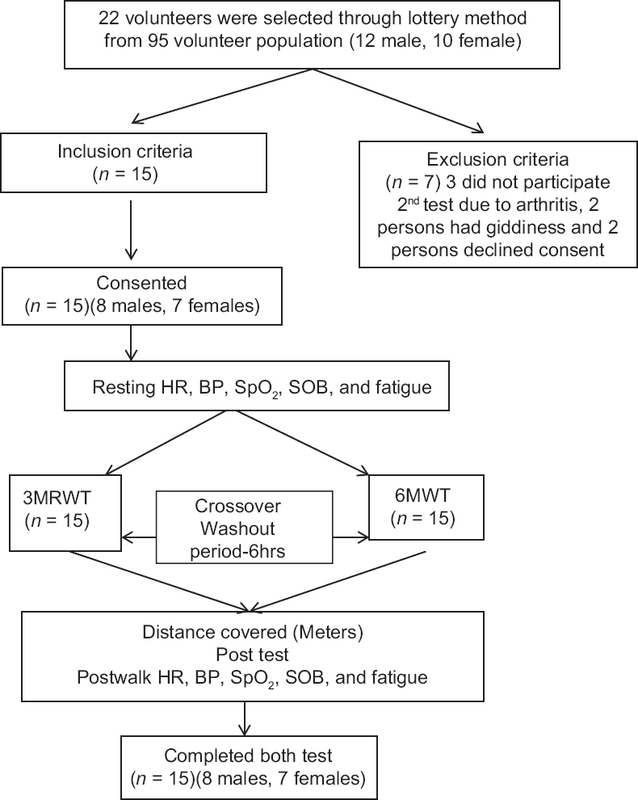 Walking distance to both ramp and ground, heart rate, blood pressure, saturation (SpO2), dyspnea, and fatigue with Borg exertion scale were compared prior and after the two walk tests. Results: The average distances covered in 6MWT were 510.5 ± 55.06 and 440.65 ± 25.08 meters and in 3MRWT were 270.18 ± 30.8, 230.05 ± 15.06 meters for male and female respectively. The difference between 3MRWT and 6MWT distances covered by the participants was statistically significant (t = 0.893). The mean difference between the heart rate, saturation and perceptions were highly significant (P < 0.001). Conclusion: The study results show that 3MRWT is valid over routinely administered 6MWT and may provide greater functional stress (uphill or ramp walk capacity) in a shorter duration in healthy individuals in assessing the maximal functional capacity in a ramp or uphill walking. 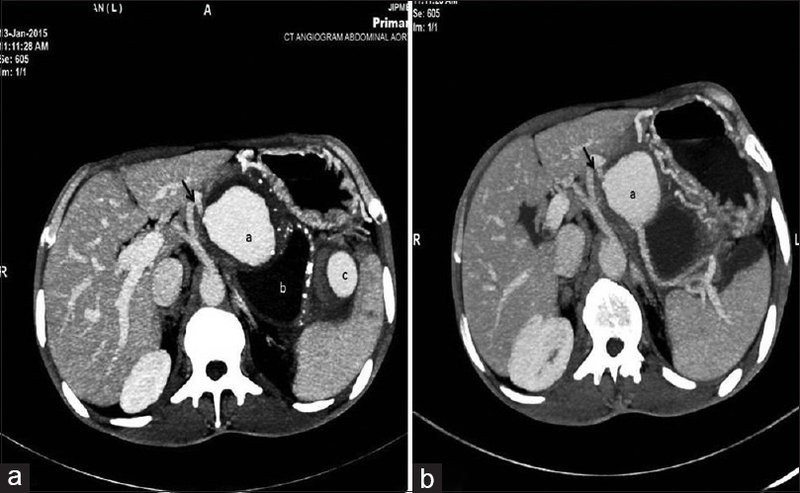 Pseudoaneurysm is a rare but a potentially fatal complication associated with chronic pancreatitis. The presence of concomitant aneurysms has been reported rarely and poses a therapeutic challenge owing to the technical difficulty in accessing the distal aneurysm by endovascular means and increased chances of rupture and bleeding. Here, we report an unusual presentation of simultaneous occurrence of two pseudoaneurysms on the splenic artery (SA). A 50-year-old male, a known case of chronic pancreatitis, presented with acute abdomen and a pulsating epigastric lump. A diagnosis of double pseudoaneurysm of SA with a concomitant pseudocyst was made based on contrast-enhanced computed tomography and was confirmed by angiography. The endovascular coil embolization by the standard sandwich-technique was expected to increase the risk of expansion and rupture of the distal pseudoaneurysm, and hence was managed by adapting a modified endovascular technique, following which patient made uneventful recovery. Double pseudoaneurysm of SA associated with chronic pancreatitis is an unusual presentation. Conventional endovascular treatment used for single aneurysm may not be feasible in the presence of two aneurysms, and it needs to be tailored according to the physical site, size, and the anatomy of the vasculature associated with the aneurysms. Autosomal recessive polycystic kidney disease (ARPKD) affects the liver and the kidney. Renal involvement presents early in life, whereas hepatic involvement manifests slightly later with portal hypertension. 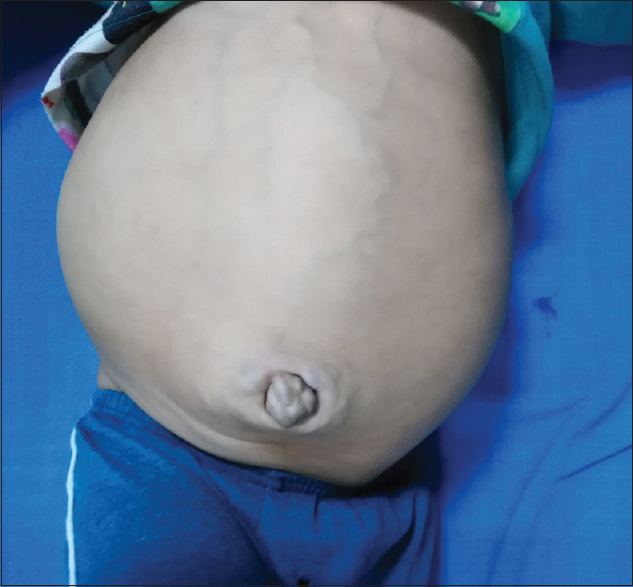 A male toddler came with chronic abdominal distension, prominent abdominal wall vessels, and umbilical protuberance. Ultrasonography findings of hepatic fibrosis with portal hypertension, mildly prominent biliary radicals, bilateral cystic renal enlargement, and a striated nephrogram on contrast-enhanced computed tomography suggested the diagnosis. Congenital hepatic fibrosis is invariably associated with ARPKD leading to portal hypertension and the development of portosystemic collaterals; those located in the umbilical region appear as caput medusae. Gastroesophageal junction (GEJ) tumors are inherently aggressive owing to their location near vital structures and early lymphatic spread. The usual symptoms at presentation are dysphagia, regurgitation, and weight loss. Lymphatic involvement is seen early due to abundant submucosal lymphatics and is an important prognostic marker. Nodal involvement is frequently seen in the mediastinum and abdomen as these are the loco-regional nodal basins. Nodal spread beyond these basins is infrequent. We report a case of GEJ adenocarcinoma with inguinal mass secondary to inguinal nodal metastasis as a presenting symptom.